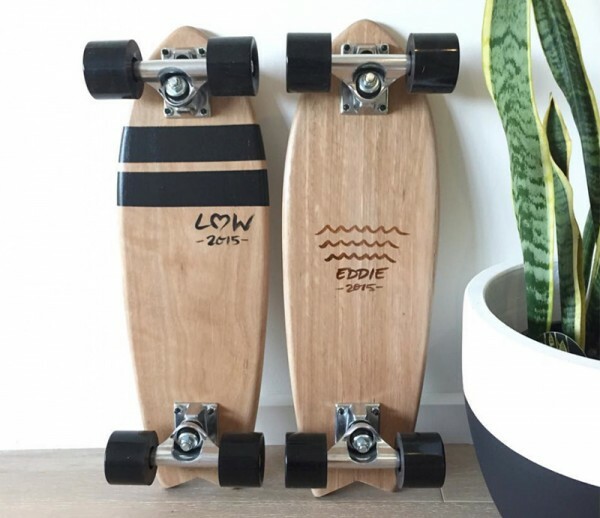 Possibly the most rad personalised present I’ve ever seen, The Zoo Keeper personalised skateboards are just the ticket to encourage your kids to climb aboard four wheels. Crafting their daughter a custom skateboard for her first birthday, complete with stained pineapple print and her name was just the start of The Zoo Keeper’s custom skateboard brand ride – from that point on, it was all hands on deck. You’ll be stoked to know you too can get in on this custom skateboard action. 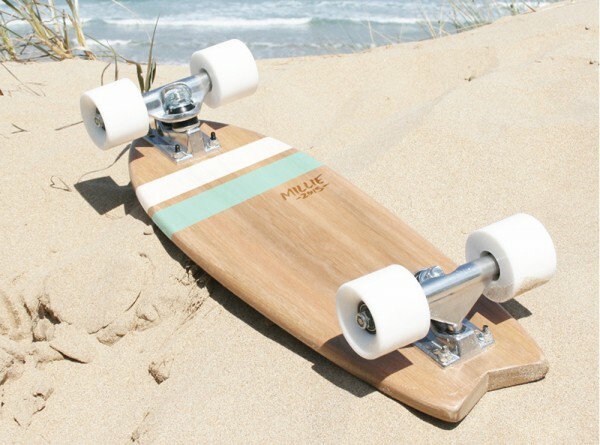 There are four designs and you can have your say on wood choices, paint colours, even wheel colour – plus have a name and birth year handwritten on the deck to really impress the would-be skater in your life. Handmade using gorgeous Australian Blackbutt or Spotted Gum, each swallow tail skateboard deck is shaped with rounded rails and fitted with quality fixtures to suit not only the youngest of riders, but adults too. From the very first cut to the wrapping, each step of making these beautiful boards is done with meticulous attention to detail and care, ensuring a premium product. Custom skateboard prices start at $180 for the deck only, or buy a complete ready-to-ride board complete with name from $220. Order your new wheels direct from The Zoo Keeper.